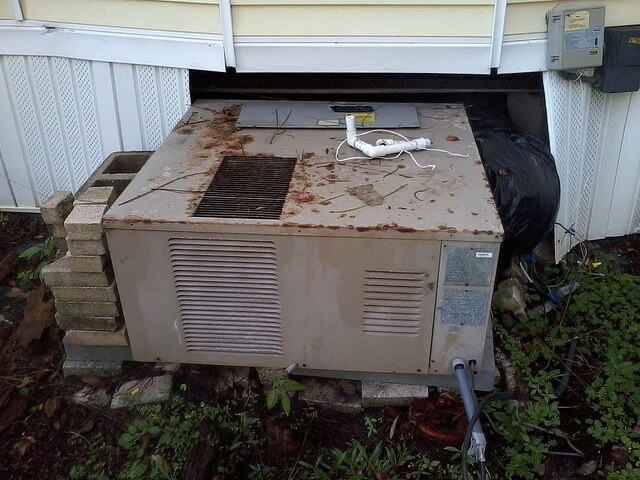 Your A/C system may not look this bad but each year that your HVAC system does not have proper HVAC maintenance service performed can raise your cooling and heating costs by as much as 30%! A simple way to think about it is like taking your car in for an oil change. If you don’t service your vehicle you can expect poor performance and eventually a serious breakdown. Now think about how much longer your air conditioning system runs every day compared to how often you drive your car. 1) Up to 80% of all air conditioning and heating system failures could be eliminated if problems that led to the failures were corrected in an early manner. Typically, these problems can be identified and prevented by annual maintenance. 2) If your system has as little as a 10% refrigerant undercharge your HVAC operating costs can increase by as much as 20%. A 23% refrigerant undercharge could result in as much as a 52% efficiency loss. 3) Every .01” of dirt on an evaporator coil can increase operating costs by 5%. 4) Every equipment manufacturer recommends annual maintenance to ensure proper system operation. Some manufacturers and all home owner warranties require proper maintenance be performed in order to be honored. 5) Maximize Performance Keep your system running at as high as 95% of its original efficiency.